With the creation of this site, SIS is now posting memes and infographics created over the course of the last few years. It may take some time to upload all of them, so visit often to see the growing library. These will be updated as new memes are created. The most recent memes are featured on the “Latest Post“ page. Others are organized by topic. 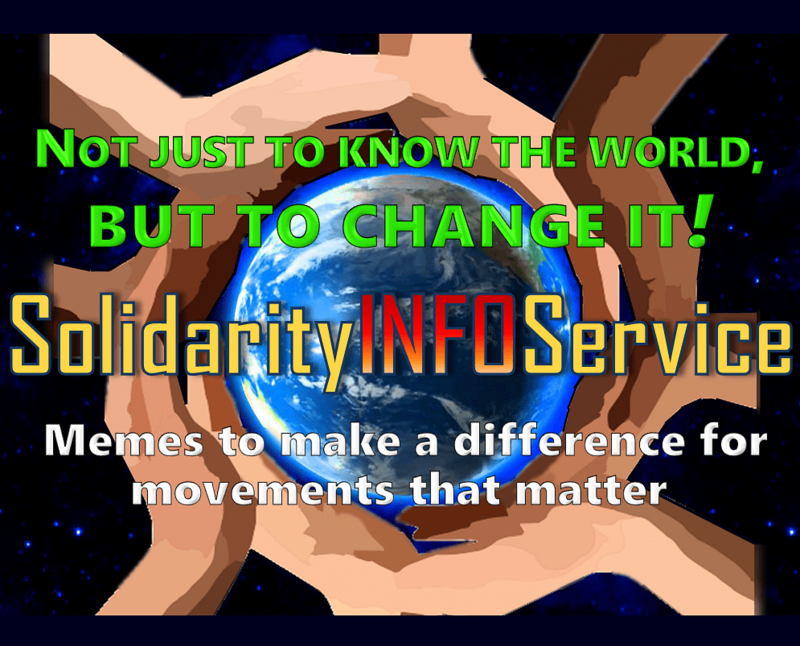 SIS also publishes three news lists – Solidarity4Ever, LaborLeftNews (AKA LLNews) and BayAreaNews – to which articles, reports, commentaries, videos and infographics are periodically posted. These are not discussion lists. You can sign up to receive notice of new content and periodic communications from SIS: Sign Upand subscribe to any of the news lists that interest you.